2018 Ordinary Level exam results are released. Results can be accessed through the official website of the department; www.doenets.lk. 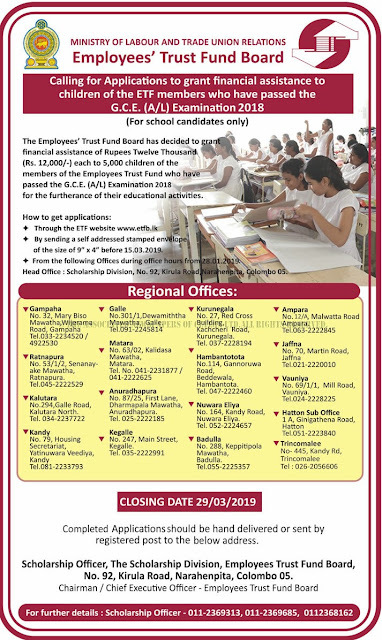 Department of examinations, Sri Lanka is calling applications for General Certificate of Education (Advanced Level) examination - August 2019. Visit https://www.doenets.lk/exam/ for more information. Calling for applications to grant financial assistance to children of the ETF members who have passes the A/L exam 2018.